DEFIANT Zimbabwe National Liberation War Veterans Association (ZNLWVA) is going ahead with the planned indaba slated for Gwanzura Stadium on November 18 despite political developments in the country. War veterans, widely regarded as close allies of sacked Vice-President Emmerson Mnangagwa, said nothing would stop them from meeting. Already they have reacted angrily to Mnangagwa’s sacking and in retaliation; they purportedly fired President Robert Mugabe and his wife First Lady Grace from Zanu PF. The association’s secretary-general Victor Matemadanda said they would go ahead as planned. “I don’t see anything that can stop us from having our meeting. We don’t have a plan as yet to stop the meeting,” he said. The war veterans invited all cadres expelled from the ruling Zanu PF to come and chart the way forward. 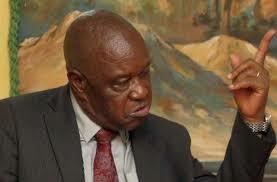 Sworn enemies of the Zanu PF G40 faction, the Christopher Mutsvangwa-led ZNLWVA has had several brushes with the law over their gatherings and hard stance against the First Family. Last year, Mugabe ordered they be tear-gassed as they prepared to meet at the City Sports Centre in Harare following Mutsvangwa’s expulsion from Zanu PF.